The April 2018 Special Civil Service Exam - Pen & Paper Test (CSE-PPT) exam results, conducted by the Civil Service Commission (CSC) for government employees are expected to be released few weeks after the day of eligibility examinations. 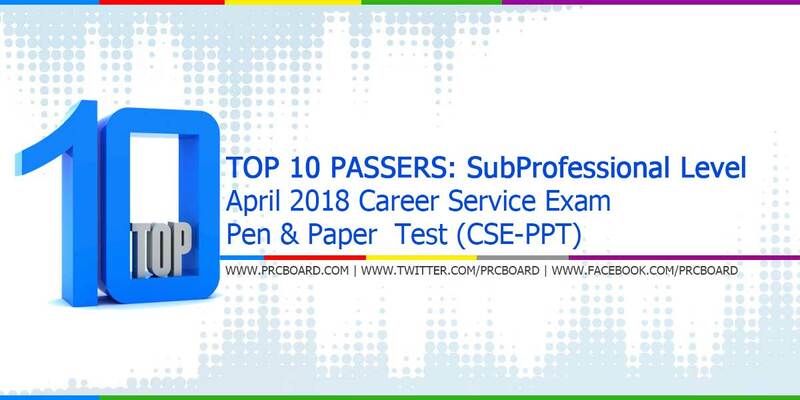 Aside from the official list of passers, top 10 examinees both for professional and subprofessional levels are also posted. Below is the list of top examinees for subprofessional level courtesy of CSC. How to find the passing rate?